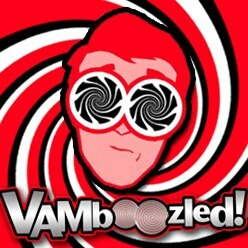 May | 2016 | VAMboozled! Approximately two weeks ago, House leaders in the state of Oklahoma unanimously passed House Bill 2957, in which the state’s prior requirement to use value-added model (VAM) based estimates for teacher evaluation and accountability purposes, as written into the state’s prior Teacher and Leader Effectiveness (TLE) evaluation system, was eliminated. The new bill has been sent to Oklahoma’s Governor Fallin for her final signature. As per the press release issued by one of the bill’s sponsors, State Representative Michael Rogers, the bill is to “retain the qualitative measurements, which evaluate teachers based on classroom instruction and learning environment. The measure also creates a professional development component to be used as another qualitative tool in the evaluation process. The Department of Education will create the professional development component to be introduced during the 2018-2019 school year. “Local school boards are in the best position to evaluate what tools their districts should be using to evaluate teachers and administrators,” he said. “This bill returns that to our local schools and removes the ‘one-size-fits-all’ approach dictated by government bureaucrats. This puts the focus back to the education of our students where it belongs.” School districts will still have the option of continuing to use VAMs or other numerically-based student growth measures when evaluating teachers, however, if they choose to do so, and agree to also pay for the related expenses. 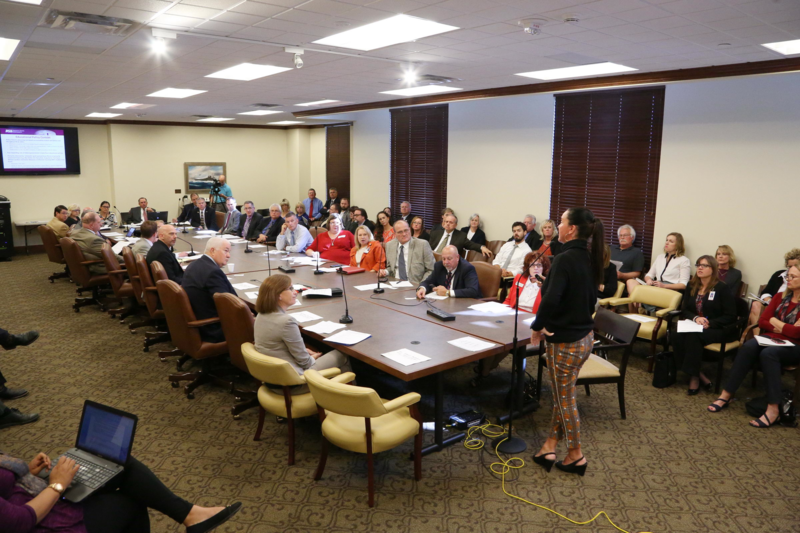 I am happy to say that I was a contributor during this review process, presenting twice to legislators, educators, and others at the Oklahoma State Capitol this past fall. See one picture of these presentations here. See more here, and a related post on Diane Ravitch’s blog here. See here more information about the actual House Bill 2957. See also a post about Hawaii recently passing similar legislation in the blog, “Curmudgucation,” here. See another post about other states moving in similar directions here. One of my prior posts was about the peer-reviewed journal Educational Researcher (ER)’s “Special Issue” on VAMs and the commentary titled “Can Value-Added Add Value to Teacher Evaluation?” contributed to the “Special Issue” by Linda Darling-Hammond – Professor of Education, Emeritus, at Stanford University. In this post, I noted that Darling-Hammond “added” a lot of “value” in one particular section of her commentary, in which she offerec a very sound set of solutions, using VAMs for teacher evaluations or not. Given it’s rare in this area of research to focus on actual solutions, and this section is a must read, I paste this small section here for you all to read (and bookmark, especially if you are currently grappling with how to develop good evaluation systems that must meet external mandates, requiring VAMs). based on state tests are more likely to be informative for students already at grade level, and least likely to display the gains of students who are above or below grade level in their knowledge and skills. For these students, other measures will be needed. and rubric scores on the beginning and end of the year essays her grade level team assigns and collectively scores. Another teacher’s evidence set might include the results of the AP test in Calculus with a pretest on key concepts in the course, plus pre- and posttests on a unit regarding the theory of limits which he aimed to improve this year, plus evidence from students’ mathematics projects using trigonometry to estimate the distance of a major landmark from their home. VAM ratings from a state test might be included when appropriate, but they would not stand alone as though they offered incontrovertible evidence about teacher effectiveness. Evaluation ratings would combine the evidence from multiple sources in a judgment model, as Massachusetts’ plan does, using a matrix to combine and evaluate several pieces of student learning data, and then integrate that rating with those from observations and professional contributions. Teachers receive low or high ratings when multiple indicators point in the same direction. Rather than merely tallying up disparate percentages and urging administrators to align their observations with inscrutable VAM scores, this approach would identify teachers who warrant intervention while enabling pedagogical discussions among teachers and evaluators based on evidence that connects what teachers do with how their students learn. A number of studies suggest that teachers become more effective as they receive feedback from standards-based observations and as they develop ways to evaluate their students’ learning in relation to their practice (Darling-Hammond, 2013). If the objective is not just to rank teachers and slice off those at the bottom, irrespective of accuracy, but instead to support improvement while providing evidence needed for action, this modest proposal suggests we might make more headway by allowing educators to design systems that truly add value to their knowledge of how students are learning in relation to how teachers are teaching. If interested, see the Review of Article #1 – the introduction to the special issue here; see the Review of Article #2 – on VAMs’ measurement errors, issues with retroactive revisions, and (more) problems with using standardized tests in VAMs here; see the Review of Article #3 – on VAMs’ potentials here; see the Review of Article #4 – on observational systems’ potentials here; see the Review of Article #5 – on teachers’ perceptions of observations and student growth here; see the Review of Article (Essay) #6 – on VAMs as tools for “egg-crate” schools here; and see the Review of Article (Commentary) #7 – on VAMs situated in their appropriate ecologies here; and see the Review of Article #8, Part I – on a more research-based assessment of VAMs’ potentials here. Yesterday, the Governor of Pennsylvania vetoed the “Protecting Excellent Teachers Act” bill that would lessen the role of seniority for teachers throughout the state. Simultaneously, the bill would increase the role of “observable” teacher effects, via teachers’ “performance ratings” as determined at least in part via the use of value-added model (VAM) estimates (i.e., using the popular Education Value-Added Assessment System (EVAAS)). These “performance ratings” at issue are to be used for increased consequential purposes (e.g., teacher terminations/layoffs, even if solely for economic reasons). The bill, passed by both the House and Senate, and supported by the state School Boards Association among others, is apparently bound to resurface, however. Also because Republicans are charging the Governor with “resisting reform at the same time he wants more funding for education.” Increased funding is not going to happen without increased accountability, apparently, and according to Republican leaders. Read more here, as per the article originally printed in The Philadelphia Inquirer. Recall from a prior post that lawmakers, particularly in the southern states, are beginning to reconsider the roles that test scores and value-added measures should play in their states’ teacher evaluation systems. The tides do seem to be turning. See also a related post about lawmakers in Alabama “shelving” their new teacher accountability system here, and a related article about how in Georgia their new teacher evaluation systems is being “overhauled” here. As per a news article released out of Louisiana just this week, it seems Louisiana is following suit. Apparently, the Louisiana Senate Education Committee is advancing a bill (i.e., Senate Bill 342) to “revise” its teacher evaluation system as well (see here). This “heavily negotiated” bill, backed by Louisiana Governor John Bel Edwards, is to also seriously “tweak” the way teachers are to be evaluated throughout the state. The bill already has big “easy approval,” passing in the Louisiana Senate Education Committee without objection, facing next the full Louisiana Senate. Under current rules, 50% of a teacher’s evaluation is to based on growth or value-added in student achievement over time. Under the new rules this is to be cut back to 35%, as currently applied to approximately 20,000 of Louisiana’s 50,000 teachers (40% of the state’s teacher population). While some might like the percentage reduced to an even lower percentage than 35%, this still seems to be at least one step in the right direction. Whether high-stakes consequences will still be attached to such output, along with the observational and other testing data to account for the other 65%, is to be seen. This would certainly be a step in the wrong direction, unless the state can demonstrate system reliability, validity, fairness, and the like (see definitions here), prior to the attachment of such consequences. In that regard, sometimes it doesn’t matter what (arbitrary) weights are applied to this or that, it is what is done with the output overall that matters the most. This also seems to be increasingly “true” in legal terms. In one of my most recent posts I wrote about how Virginia SGP, aka parent Brian Davison, won in court against the state of Virginia, requiring them to release teachers’ Student Growth Percentile (SGP) scores. Virginia SGP is a very vocal promoter of the use of SGPs to evaluate teachers’ value-added (although many do not consider the SGP model to be a value-added model (VAM); see general differences between VAMs and SGPs here). Regardless, he sued the state of Virginia to release teachers’ SGP scores so he could make them available to all via the Internet. He did this, more specifically, so parents and perhaps others throughout the state would be able to access and then potentially use the scores to make choices about who should and should not teach their kids. See other posts about this story here and here. Those of us who are familiar with Virginia SGP and the research literature writ large know that, unfortunately, there’s much that Virginia SGP does not understand about the now loads of research surrounding VAMs as defined more broadly (see multiple research article links here). Likewise, Virginia SGP, as evidenced below, rides most of his research-based arguments on select sections of a small handful of research studies (e.g., those written by economists Raj Chetty and colleagues, and Thomas Kane as part of Kane’s Measures of Effective Teaching (MET) studies) that do not represent the general research on the topic. He simultaneously ignores/rejects the research studies that empirically challenge his research-based claims (e.g., that there is no bias in VAM-based estimates, and that because Chetty, Friedman, and Rockoff “proved this,” it must be true, despite the research studies that have presented evidence otherwise (see for example here, here, and here). Nonetheless, given that him winning this case in Virginia is still noteworthy, and followers of this blog should be aware of this particular case, I invited Virginia SGP to write a guest post so that he could tell his side of the story. As we have exchanged emails in the past, which I must add have become less abrasive/inflamed as time has passed, I recommend that readers read and also critically consume what is written below. Let’s hope that we might have some healthy and honest dialogue on this particular topic in the end. I’d like to thank Dr. Amrein-Beardsley for giving me this forum. My school district recently announced its teacher of the year. John Tuck teaches in a school with 70%+ FRL students compared to a district average of ~15% (don’t ask me why we can’t even those #’s out). He graduated from an ordinary school with a degree in liberal arts. He only has a Bachelors and is not a National Board Certified Teacher (NBCT). He is in his ninth year of teaching specializing in math and science for 5th graders. Despite the ordinary background, Tuck gets amazing student growth. He mentors, serves as principal in the summer, and leads the school’s leadership committees. In Dallas, TX, he could have risen to the top of the salary scale already, but in Loudoun County, VA, he only makes $55K compared to a top salary of $100K for Step 30 teachers. Tuck is not rewarded for his talent or efforts largely because Loudoun eschews all VAMs and merit-based promotion. This is largely why I enlisted the assistance of Arizona State law school graduate Lin Edrington in seeking the Virginia Department of Education’s (VDOE) VAM (SGP) data via a Freedom of Information Act (FOIA) suit (see pertinent files here). VAMs are not perfect. There are concerns about validity when switching from paper to computer tests. There are serious concerns about reliability when VAMs are computed with small sample sizes or are based on classes not taught by the rated teacher (as appeared to occur in New Mexico, Florida, and possibly New York). Improper uses of VAMs give reformers a bad name. This was not the case in Virginia. SGPs were only to be used when appropriate with 2+ years of data and 40+ scores recommended. I am a big proponent of VAMs based on my reviews of the research. We have the Chetty/Friedman/Rockoff (CFR) studies, of course, including their recent paper showing virtually no bias (Table 6). The following briefing presented by Professor Friedman at our trial gives a good layman’s overview of their high level findings. When teachers are transferred to a completely new school but their VAMs remain consistent, that is very convincing to me. I understand some point to the cautionary statement of the ASA suggesting districts apply VAMs carefully and explicitly state their limitations. But the ASA definitely recommends VAMs for analyzing larger samples including schools or district policies, and CFR believe their statement failed to consider updated research. To me, the MET studies provided some of the most convincing evidence. Not only are high VAMs on state standardized tests correlated to higher achievement on more open-ended short-answer and essay-based tests of critical thinking, but students of high-VAM teachers are more likely to enjoy class (Table 14). This points to VAMs measuring inspiration, classroom discipline, the ability to communicate concepts, subject matter knowledge and much more. If a teacher engages a disinterested student, their low scores will certainly rise along with their VAMs. CFR and others have shown this higher achievement carries over into future grades and success later in life. VAMs don’t just measure the ability to identify test distractors, but the ability of teachers to inspire. So why exactly did the Richmond City Circuit Court force the release of Virginia’s SGPs? VDOE applied for and received a No Child Left Behind (NCLB) waiver like many other states. But in court testimony provided in December of 2014, VDOE acknowledged that districts were not complying with the waiver by not providing the SGP data to teachers or using SGPs in teacher evaluations despite “assurances” to the US Department of Education (USDOE). When we initially received a favorable verdict in January of 2015, instead of trying to comply with NCLB waiver requirements, my district of Loudoun County Publis Schools (LCPS) laughed. LCPS refused to implement SGPs or even discuss them. There was no dispute that the largest Virginia districts had committed fraud when I discussed these facts with the US Attorney’s office and lawyers from the USDOE in January of 2016, but the USDOE refused to support a False Claim Act suit. And while nearly every district stridently refused to use VAMs [i.e., SGPs], the Virginia Secretary of Education was falsely claiming in high profile op-eds that Virginia was using “progress and growth” in the evaluation of schools. Yet, VDOE never used the very measure (SGPs) that the ESEA [i.e., NCLB] waivers required to measure student growth. The irony is that if these districts had used SGPs for just 1% of their teachers’ evaluations after the December of 2014 hearing, their teachers’ SGPs would be confidential today. I could only find one county that utilized SGPs, and their teachers’ SGPs are exempt. Sometimes fraud doesn’t pay. Note that I am a former Naval submarine officer and have held Department of Defense (DOD) clearances for 20+ years. I attended a meeting this past Thursday with LCPS officials in which they [since] acknowledged I was no safety threat. I served in the military, and along with many I have fought for the right to free speech. Accordingly, I am no shrinking violet. Despite having LCPS attorneys sanction perjury, the Republican Commonwealth Attorney refused to prosecute and then illegally censored me in public forums. So the CA will soon have to sign a consent order acknowledging violating my constitutional rights (he effectively admitted as much already). And a federal civil rights complaint against the schools for their retaliatory ban is being drafted as we speak. All of this resulted from my efforts to have public data released and hold LCPS officials accountable to state and federal laws. I have promised that the majority of any potential financial award will be used to fund other whistle blower cases, [against] both teachers and reformers. I have a clean background and administrators still targeted me. Imagine what they would do to someone who isn’t willing to bear these costs! In the end, I encourage everyone to speak out based on your beliefs. Support your case with facts not anecdotes or hastily conceived opinions. And there are certainly efforts we can all support like those of Dr. Darling-Hammond. We can hold an honest debate, but please remember that schools don’t exist to employ teachers/principals. Schools exist to effectively educate students. Ohio state legislators just last week introduced a bill to review the value-added measurements required when evaluating schools as per the state’s A-F school report cards (as based on Florida’s A-F school report card model). The bill is to be introduced by political members of the Republican side of the House who, more specifically, want officials and/or others to review how the state comes up with their school report card grades, with emphasis on the state’s specific value-added (i.e., Education Value-Added Assessment System (EVAAS)) component. According to one article here, “especially confusing” with Ohio’s school reports cards is the school-level value added section. At the school level, value-added means essentially the same thing — the measurement of how well a school purportedly grew its students from one year to the next, when students’ growth in test scores over time are aggregated beyond the classroom and to the school-wide level. While value-added estimates are still to count for 35-50% of a teacher’s individual evaluation throughout the state, this particular bill has to do with school-level value-added only. While most in the House, Democrats included, seem to be in favor of the idea of reviewing the value-added component (e.g., citing parent/user confusion, lack of transparency, common questions posed to the state and others about this specific component that they cannot answer), at least one Democrat is questioning Republicans’ motives (e.g., charging that Republicans might have ulterior motives to not hold charter schools accountable using VAMs and to simultaneously push conservative agendas further). Regardless, that lawmakers in at least the state of Ohio are now admitting that they have too little understanding of how the value-added system works, and also works in practice, seems to be a step in the right direction. Let’s just hope the intentions of those backing the bill are in the right place, as also explained here. Perhaps the fact that the whole bill is one paragraph in length speaks to the integrity and forthrightness of the endeavor — perhaps not. Otherwise, the Vice President for Ohio policy and advocacy for the Thomas B. Fordham Institute — a strong supporter of value added — is quoted as saying that “it makes sense to review the measurement…There are a lot of myths and misconceptions out there, and the more people know, the more people will understand the important role looking at student growth plays in the accountability system.” One such “myth” he cites is that, “[t]here are measures on our state report card that correlate with demographics, but value added isn’t one of them.” In fact, and rather, we have evidence directly from the state of Ohio contradicting this claim that he calls a “myth” — that, indeed, bias is alive and well in Ohio (as well as elsewhere), especially when VAM-based estimates are aggregated at the school level (see a post with figures illustrating bias in Ohio here). On that note, I just hope that whomever they invite for this forthcoming review, if the bill is passed, is well-informed, very knowledgeable of the literature surrounding value-added in general but also in breadth and depth, and is not representing a vendor or any particular think tank, philanthropic, or other entity with a clear agenda. Balance, at minimum for this review, is key.